Depending on how you look, these are either exciting times for some that the Indian Premier League is coming to UAE. But for some it means turning your nose in disgust as if they just stepped into the muck they were so cautiously trying to avoid all along. There is a slightly subdued, almost non-existent whirring of a process to get the nuts and bolts in place ever since the Indian cricket board decided to make use of the world-class facilities of the three twin venues of Abu Dhabi, Dubai and Sharjah for the cash-rich Twenty20 tournament. Most of it has to do with the fact that the Supreme Court decided to express its displeasure and the normally arrogant BCCI decided to pay heed. It did not have to. Those who have traversed in the corridors of the BCCI will know how thick-skinned the mandarins are, and this was probably a prick of a thin needle in their hide. So is there hope that good times are around the corner, especially with Sunil Gavaskar at the helm? Gavaskar is not entirely above board, and not entirely in charge of the Board either. An interim arrangement with joint sharing of duties with Shivlal Yadav is not exactly the paradigm shift cricket lovers need. At least, Gavaskar has started on the right note. His flying visits to UAE have been as discreet as begets a professional in the middle of a crisis. IPL is in the cloud of match fixing again. There is also a section of critics who feel UAE is the hotbed of betting, and ignoring the original reason why BCCI shunned Sharjah as a neutral venue in the first place smacks of recklessness. That is an argument without logic. It presumes that you have to be in the venue or place to allow the influence of betting to affect a match. When the IPL fixing scandal broke last year, one of the top bookie was Sunil Dubai, a resident of the UAE emirate and who was also a conduit between Dawood Ibrahim – another Dubai regular – and the players shuttling across Indian venues. Hopefully there are no such incidents this year. Having said that, a successful IPL7 will mask the troublesome face of the BCCI, and inadvertently serve their purpose of brushing things under the carpet. 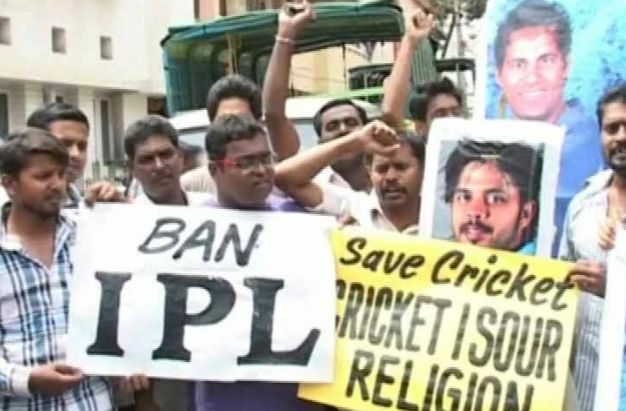 By taking away the IPL away from the throes of the Indian Elections and having it in UAE, where the novelty factor will draw in the crowds for sure, the distraction will serve BCCI’s interests and N Srinivasan’s to regroup. What should we thank Sachin Tendulkar for? Posted on April 2, 2014 by Kumar. This entry was posted in Sports and tagged bcci, cricket, Indian Premier League, ipl, tickets, uae. Bookmark the permalink.